Rogan’s return to action has been blighted by hiccups as fights against Kubrat Pulev for the EU title, Luis Andres Pineda for the WBU strap and an Irish showdown with Tyson Fury have fallen by the wayside. 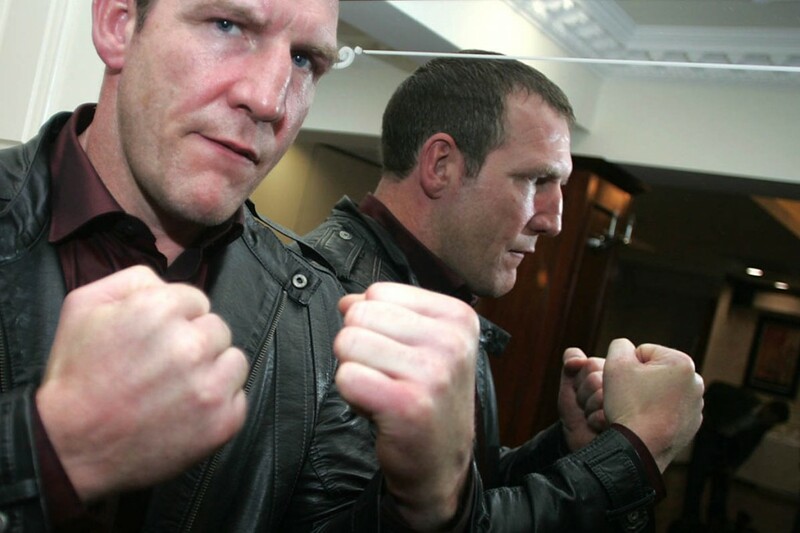 Now ‘The Iron Man’ has turned his attention towards a rematch of what was a heavyweight battle for the ages back in 2009 against ‘The Bedford Bear’. Rogan has not boxed since defeating Werner Kreiskott in Castlebar last November but his opponent has been inactive for a similar length of time since losing a Prizefighter final to Michael Sprott. This contest represents a crossroads for both men and Rogan is aware of the importance of a victory on the night. While a victory can propel him back into the domestic title mix, defeat would surely spell the end of the road for the 40-year-old. With this in mind he has been training appropriately under the watchful eye of Bernardo Checa and strength and conditioning coach Stephen Bell. Rogan is expecting a tough test but believes he can repeat the feat of two years ago. “I’m training very hard and have a new strength and conditioning coach – Stephen Bell the former Ulster rugby scrum-half,” he said. “I’m taking drastic measures this time to do everything right and make sure I’m in top shape. “It’s been a year out and I suppose Skelton has been out for a year himself. Everybody knows how much of a tough test it was the last time and how hard a fight it was. “Being out (of the ring) for a year – what do you do? Do you take on a couple of people with no record and try and bluff your way or do you take on a tough fight and have a real go at it? The local favourite is hoping for a huge local support on the night and believes a victory will open the door to bigger fights down the line. Rogan says that while he could have taken on lesser opposition, he has decided to test himself and is looking forward to putting on a show for local fight fans. “I need the support of everyone who has supported me right through and it’s going to take that,” he added. “When I leave the heavyweight scene where is the next one coming from to take over where I left off? People need to support me while I’m here. “On November 12 I will be going out all guns blazing to do the same as I did before only I will be doing it a lot quicker and then I can look to bigger and better things but I won’t be taking my eye off the ball for Skelton. “I’m still in the top ten rankings and he is above me so beating him will mean I take his (ranking) points. Skelton revealed all had not been well with his preparation prior to their first meeting but believes he will be in top condition when the bell sounds on November 12. “I know I took the fight with Martin Rogan at the wrong time – there was a lot going on in my personal life, but there’s no point crying over spilt milk,” he said. “I thought it was a good fight. It’s an opportunity for revenge. I still want to be active and I still want to fight. “There’s nothing on the table really, you can’t be picky. I have to get back there and it’s a reputable opponent. “If you look back when I won my European title, I was out of the ring for just one week short of a year. “Although I’ve been out of the ring, I’ve kept myself in the gym, active and sparring and now it’s a case of stepping it up. “I’m a similar weight to what I will be fighting at this moment in time. There will be plenty of local interest in the undercard with the return of Martin Lindsay and Kevin O’Hara sure to entice a large crowd to the King’s Hall. With no television or radio coverage of the bill, Rogan urged the local public to turn up in their droves for what could be a great night of boxing. “Kevin O’Hara, Martin Lindsay, Stephen Haughian, Marco McCullough, Stephen Quinn Junior and one other will appear on the bill so there will be plenty of local interest,” said ‘Rogie’. “Tickets are priced keenly. There is no TV or radio so there is no excuse – you have to be there. “People know what the last fight was like. Those that didn’t get to the first one have the opportunity to get to this one. “I have had great support and I’m hoping for the same again. Tickets are priced at £30, £55, £70 and £100 and are available from Ticketmaster, Collins Butchers on Springfield Road, Mini-Market Castle Street and Charlie Boyle’s in Smithfield.